Chillington's CAMDEN CLASSIC is the UK's fastest selling 85 Ltr wheelbarrow. A power horse with an amazing value! 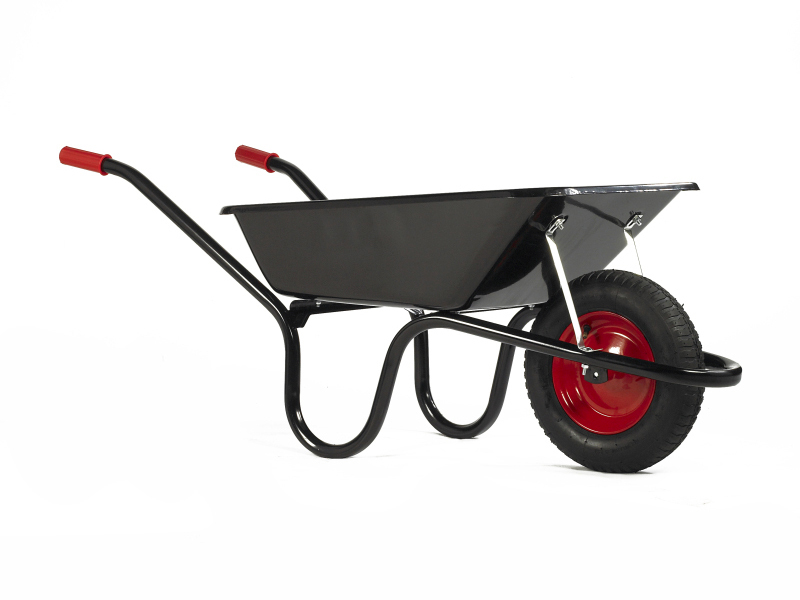 The Camden is the Epitome of the British wheelbarrow, comes equipped with an 85 Ltr Black epoxy powder coated tray with a British style design. The Black frame is very reliable with a one piece tubular design. The tray of the Camden has specific narrow design that allows easier access through doors, front tray supports that add strength to the overall design, everlasting grips and pneumatic wheel.